On Friday, a Russian court rejected an appeal from the Russian Olympic Committee (ROC) against a November Moscow Court ruling that a Court of Arbitration for Sport (CAS) decision to uphold an International Olympic Committee (IOC) decision to disqualify Alexander Zubkov from the Sochi 2014 Olympics, where he took two gold medals, was not valid in Russia. Zubkov was sanctioned with a life ban by the IOC, however this was reduced to a ban from the PyeongChang 2018 Olympics upon appeal to the CAS. This didn’t stop him being re-elected as Russian Bobsled Federation (OBP) President in July last year. The IOC had asked the ROC to enforce the sanction against Zubkov, and the ROC’s view was that the November decision was a breach of the Convention on Recognition and Enforcement of Foreign Arbitral Awards (New York, 1958). In effect, the Russian judicial system has stuck two fingers up at the international arbitration and sporting arbitration system. The IOC told AP that Friday’s decision is of little consequence, as the November CAS decision has not been appealed. It has said that it will continue to request the return of medals, however not one of 12 disqualified Russian athletes returned a medal last year. Just how the IOC will force those athletes to return medals following Friday’s court ruling remains to be seen. It is possible that sanctions against the ROC could follow, however the IOC doesn’t have a great track record in that area. In December last year, it was revealed that just ten of Russia’s 85 regions had implemented a December 2016 requirement to delegate a Sport and Health Ministry official to deal with anti-doping; and questions were raised about whether the country’s National Anti-Doping Plan (NADP) has been implemented. “An issue we are trying to resolve is the idea that doping was at the State level, but it was not, never was and never will be”, said Russia’s President Vladimir Putin, also in December. The current head of the Centre of Sports Preparation (CSP) for the National Teams of Russia is Alexander Kravtsov. He replaced Mikhail Prokhorov as head of the Russian Biathlon Union (RBU) in 2014. 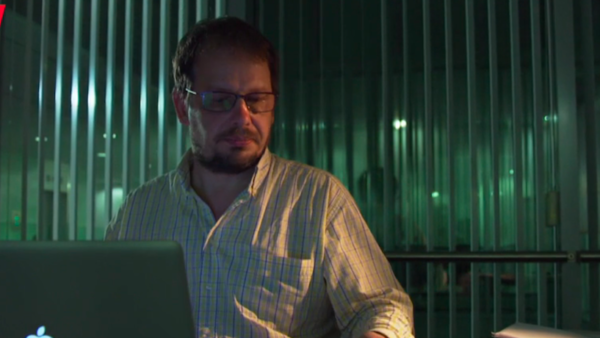 An affidavit produced by Dr. Grigory Rodchenkov, former Director of the Moscow Laboratory, alleges that Prokhorov bribed Irina Starykh, one of ten biathletes charged by Austrian authorities, to keep quiet about being instructed to inject erythropoietin (EPO) by Stanislav (Stastik) Dmitriev, whom he alleges supplied EPO to the Olympic biathlon team. Dr. Rodchenkov mentions the CSP as being involved in the management of Russia’s State doping programme. He also mentions Kravtsov as initiating discussions about half of the biathlon team being under the control of Dmitriev. On Sunday, I was contacted by Russia Today regarding my thoughts on criticism of Alexander Loginov, who recently won the International Biathlon Union (IBU) World Cup. Loginov served a two year ban after reanalysis of his Sochi 2014 sample tested positive for EPO. I was asked whether I thought such criticism is fair, as Loginov had served his ban. I said that of course, athletes who have served a ban should be allowed to return to competition. 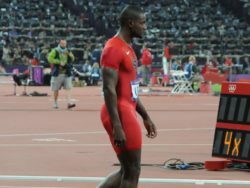 However, I pointed out that this situation is more complicated than a rouge athlete taking a prohibited substance who then decides to reform. Loginov tested positive for EPO, which was alleged to be the drug of choice for the Russian Olympic team, under direction of RBU officials. I added that the Austrian police are still investigating whether former IBU officials were complicit in covering up positive tests for cash. I asked to see video footage of how my pre-recorded comments had been used. It has yet to arrive. Today, I received another request from Russia Today asking for my comments on whether reports that a Norwegian athlete’s ability to open sample bottles compromised the entire anti-doping process. 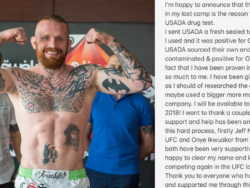 In an initial reply, I outlined that there can be no suggestion that athletes are able to compromise the anti-doping process by opening sample bottles, for two reasons. 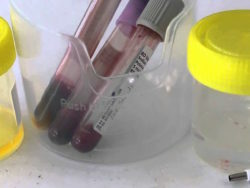 Firstly, athletes are asked to check whether urine samples are sealed as part of the doping control process. They do not see their sample bottles again, as they are sent off to the Laboratory. Secondly, if anyone opens a sample bottle, the seal of the bottle is compromised, as is mentioned happened in the case of the Norwegian athlete. This is why Richard McLaren found that a special tool was necessary to open Russian samples in the systemic manipulation of the doping control process that the outlined. Also, we have been here before. The Compliance Review Committee (CRC) of the World Anti-Doping Agency (WADA) will meet tomorrow and Wednesday to decide whether the Russian Anti-Doping Agency (RUSADA) should be re-suspended, after Russia failed to meet its deadline regarding access to data and samples held at the Moscow Laboratory. 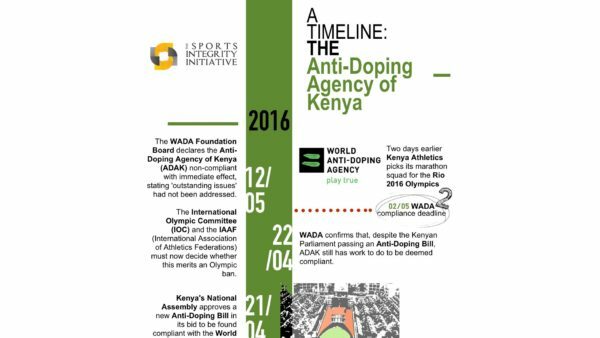 WADA has since confirmed that its Executive Committee will make a decision regarding the CRC’s recommendation on 22 January. (2/2) ExCo members requested that time to review appropriately the CRC recommendation (which will be provided to them at the latest on 17 Jan) and to consult with their stakeholders. 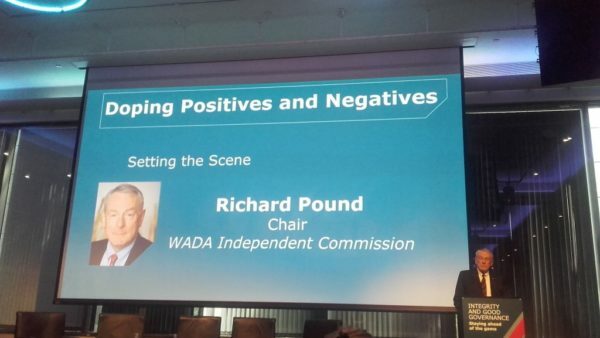 WADA will publicly communicate the ExCo decision on 22 Jan following the conference call. 5. State controlled Russian media appear to be focussing on suggestions that the entire anti-doping system is corrupt. This suggestion was previously made by illegal hacking group Fancy Bears, who were exposed as Russian State agents. It would appear that some of those allegedly responsible for State doping are still in place within Russia; promised reforms have not been implemented; and State media is now using deflection tactics. Sport’s failure to hold the officials responsible for the systemic doping that occurred in Russia has led to this fightback. Russia is playing sport’s administrators for fools. 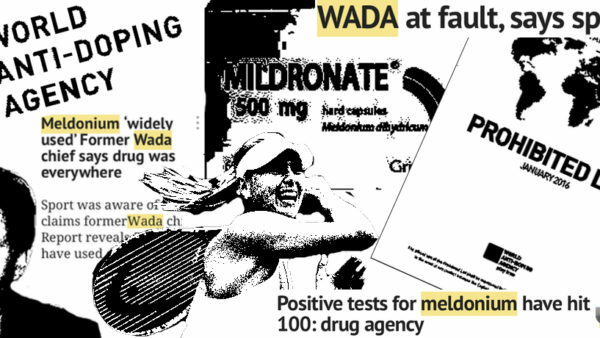 WADA is culpable for allowing the media to take this route by outlining that its focus is on catching and punishing athletes, not the officials in charge of implementing the doping programmes that athletes were subject to. The IOC is culpable for allowing Russian athletes and officials to compete at its events, and for allowing sanctioned athletes to hang on to medals with apparent impunity. Meanwhile, Russia allows those allegedly involved in State doping to front its organisations and federations. It continues to deny State doping, and uses its State-run media to paint a picture of its athletes as victims. It can do this because as it controls the media, athletes are not aware that State officials, such as former Minister of Sport Vitaly Mutko, were implicated as being involved in covering up the doping of athletes. They have been told that this is a lie, and sport’s international administrators have allowed them to believe it.